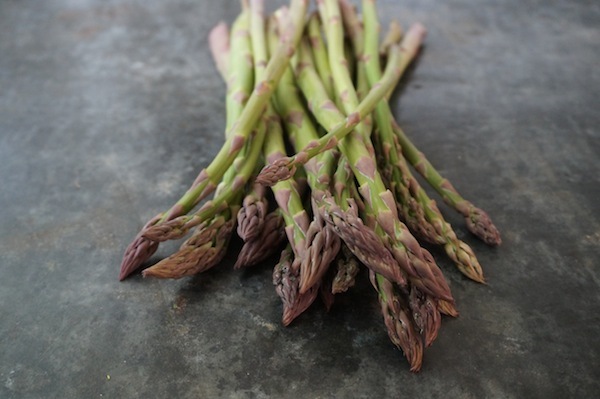 Homegrown Asparagus – 1 bunch. First of the season! I thought I’d also weigh in with two ways I’ve enjoyed asparagus this season: pasta primavera and spring mix, strawberry and asparagus salad. 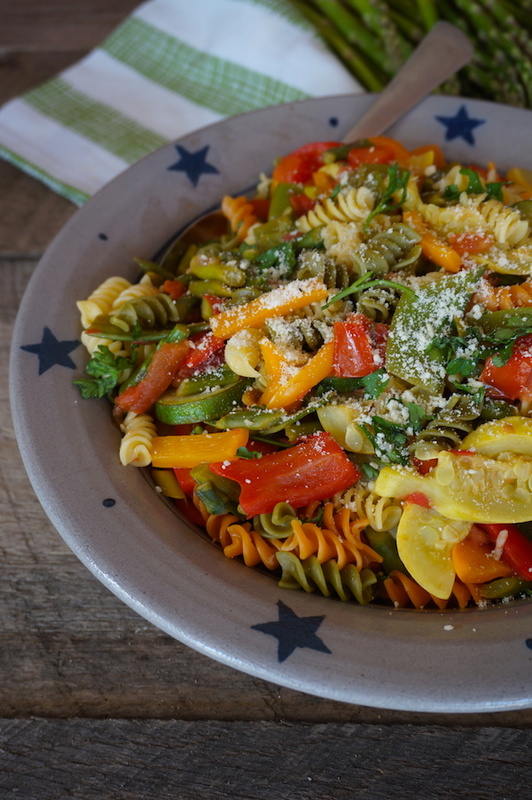 Pasta primavera was the first meal I ever made for my now husband when we were dating, almost 7 years ago! Rinse asparagus, and then cut off and discard the bottom of the asparagus. Cut asparagus into 1- to 1½ -inch chunks. Set these aside and chop squash, peppers and snow peas into 1-inch squares. Cook pasta following the package directions. While the pasta is cooking, heat oil in a large skillet over medium heat. Add garlic and pepper, cooking and stirring for about 30 seconds. Add wine, salt and asparagus stalks (not the tips) to the skillet. Bring to a boil and then reduce heat. Cook uncovered, stirring occasionally, until asparagus is crisp-tender (about three minutes). Add asparagus tips and tomatoes and cook, uncovered, until the tomatoes are heated through (about a minute). Remove from heat, add butter and stir. Drain pasta and add it, along with basil, to vegetables in skillet. Toss gently to combine. In a bowl, toss the asparagus with 1 tablespoon oil and sprinkle with salt and pepper. In a large skillet, sauté over medium heat 7-10 minutes until tender. Allow to cool. 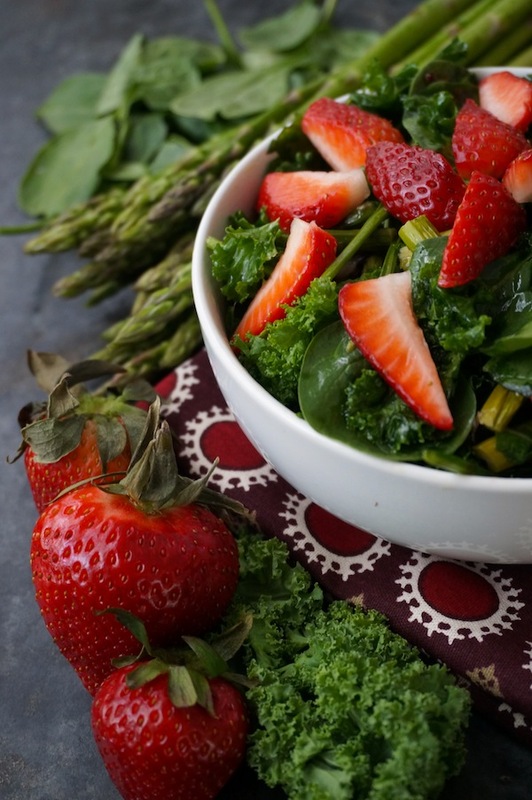 Toss greens, strawberries, onions, pecans and asparagus and a large salad bowl. In a small bowl, whisk the vinegar, sugar and remaining oil. Drizzle over the salad and toss to coat.